I love looking at photos of cottage kitchens. 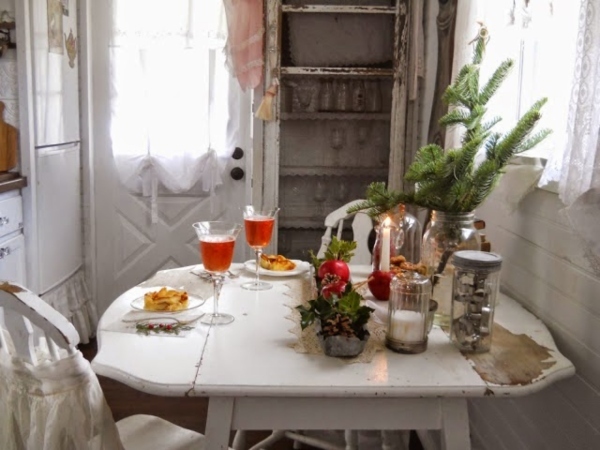 There is something about a small cozy kitchen that evokes feelings of home for me. 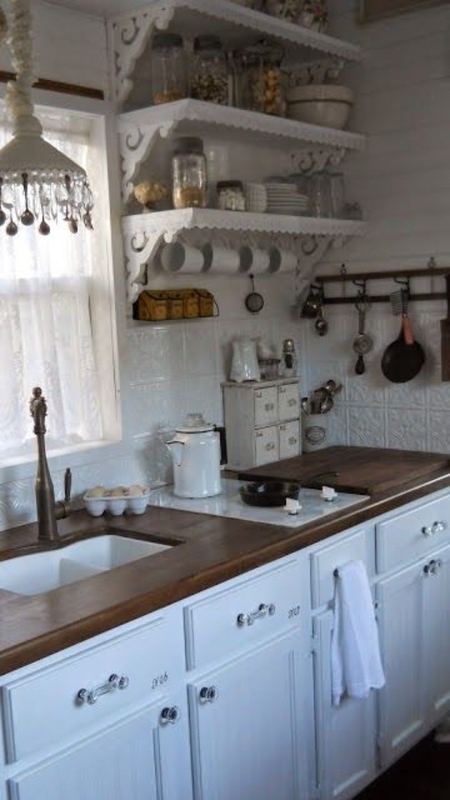 One of the things I am interested in is open shelves and I found a lot of those when looking at cottage kitchens. 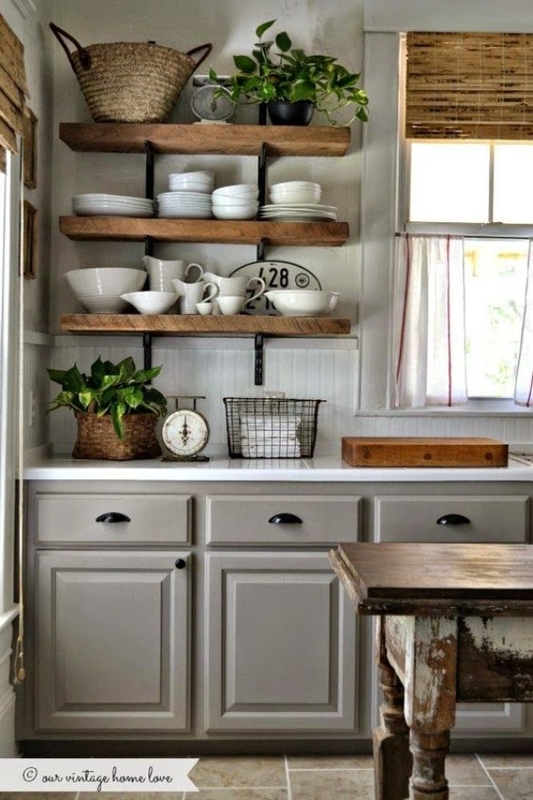 Open shelves are a great way to display those things that give a kitchen a cottage feel. This kitchen uses shelves to display two of my favorite things. White dishes and baskets. I love the variation in shelves. These shelves have been painted a cottage white and have been dressed up with some quaint gingerbread trim. Elsewhere in the kitchen, the owner has chosen a more rustic touch. While the shelves are open, the owner has used an old screen door over them. 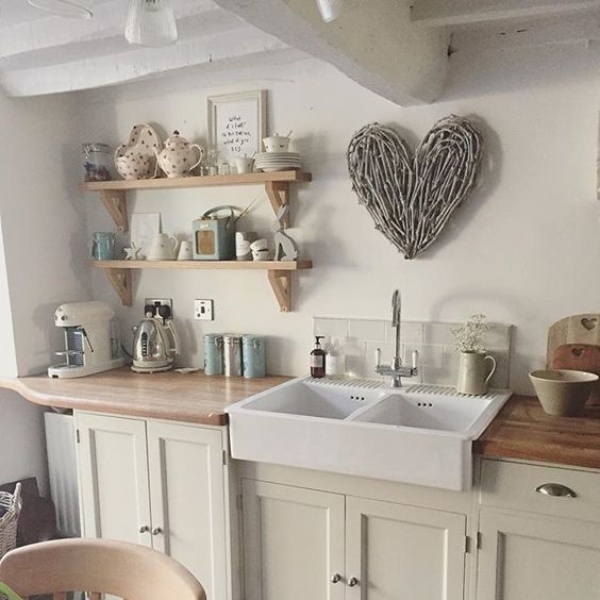 Small cottage kitchens require ingenuity and open shelves can be anywhere you can find the space. Here the owner has utilized the space above her cupboards to add a shelf. I think it is absolutely charming. How do you feel about open shelves in the kitchen? These are all such pretty inspiration photos, Laura! 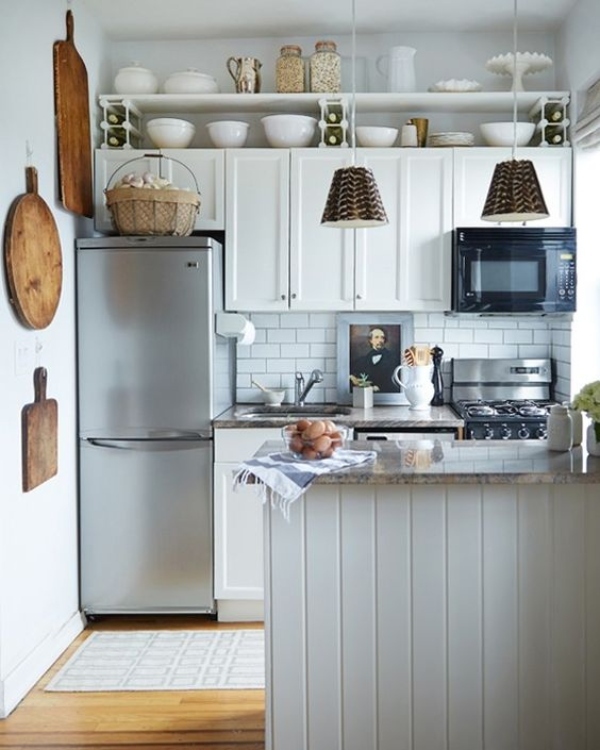 I love some open shelving in a kitchen...so nice for pretty display or for things you use often. I like the light colors and the open shelving. One must be neat, and organized, to use the open concept! Love the inspiration here. I have a couple of these pinned. I love the last one the best. That is so charming. I have a very small kitchen and love the open shelves. It just makes the room feel so much more open. Happy New Week Laura. We had open shelves in this old house before they were in vogue. I wasn’t sure I liked them but now I’m used to them. Enjoy your week, Laura! These are so charming... I think the eclectic gathering and displaying of everyday things captures the simplicity and enjoyment of cottage living. Have a wonderful day. I love every single one of these kitchens, Laura! I think open shelving is so cute, but with all the cooking I do no doubt everything would end up covered with grime.